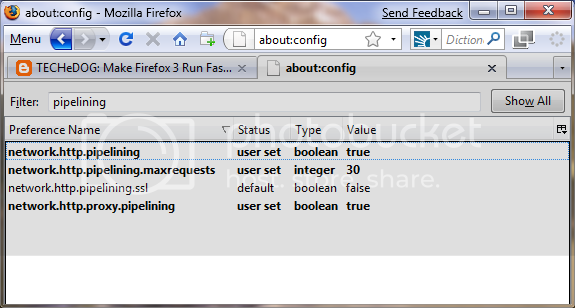 Optimize Mozilla Firefox 3 to run much faster. Increase navigation speed and decrease page load time. To speed up Firefox 3 just follow the steps below and you'll have your browser running more quickly before you can say "TECHeDOG Rocks!!". 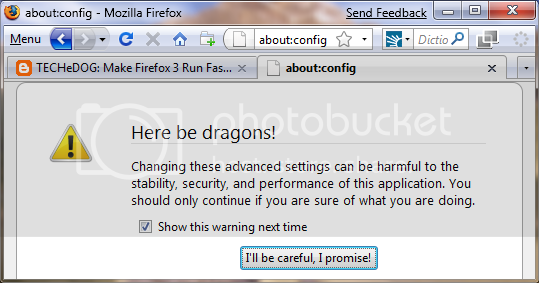 Firefox will give you a warning, to continue click on "I'll be careful, I promise!"